In the autumn of 2014 we spent a few days out in the Alentejo documenting the workings of an organic herb farm for our friends at “Be Aromatic“, who specialise in growing herbs for the essential oil industry. This is a relatively new business and they needed their website to have a cohesive set of images to illustrate who they are and what they do… without being too corporate or industrial about it. Theirs is a family-run production and they have a strong connection to the earth, this is their business but it´s also their life philosophy… they live on the farm so it is as much their home as it is their work and they wanted to show that on the site and in the photos. I worked on this together with my other half Luis Piteira but the photos I´ve selected here are my own. I´ve made a few screen grabs from the website (which you can see HERE) and the images below are some of my favourites from our time on the farm. 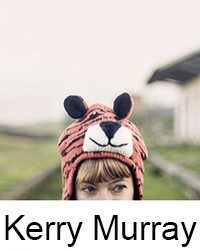 Love the feeling of the images, Kerry! What a stunningly beautiful, evocative post. Wonderful pictures, with great editing and styling. What an great series of photographs, i love the styling. Qué hermosa esta granja orgánica! Y qué bellas tus fotografías! Me encantan!